You cannot add "Issue 33 (February 2016)" to the cart because the product is out of stock. 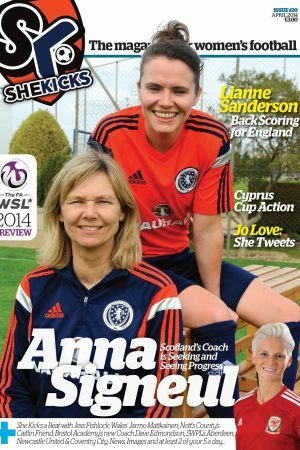 She Kicks Issue #45 is now available. 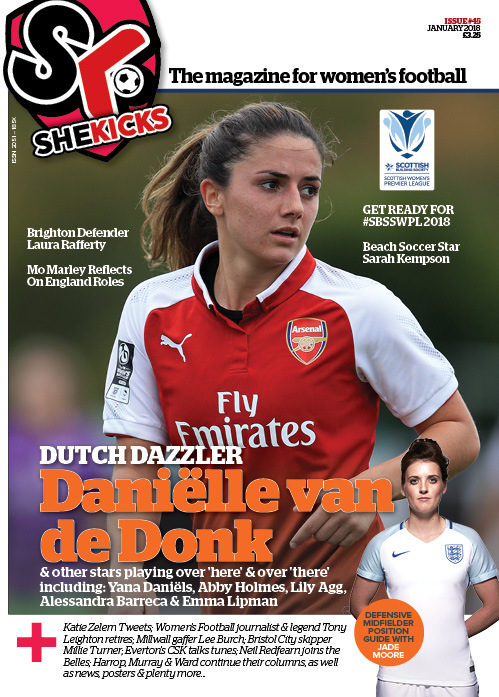 We welcome 2018 with a bumper 72 pages – featuring Daniëlle van de Donk (Arsenal/Netherlands), Yana Daniëls, Abby Holmes, Lily Agg, Emma Lipman, Katie Zelem, Elizabeta Ejupi and Alessandra Barreca as our ‘theme’ this issue considers players playing outside of their home countries, in Europe. and there’s Neil Redfearn (Doncaster Rovers Belles), Mel Lawley (Man City/England), Millie Turner (Bristol City), Almuth Schult (Wolfsburg/Germany) and more besides.